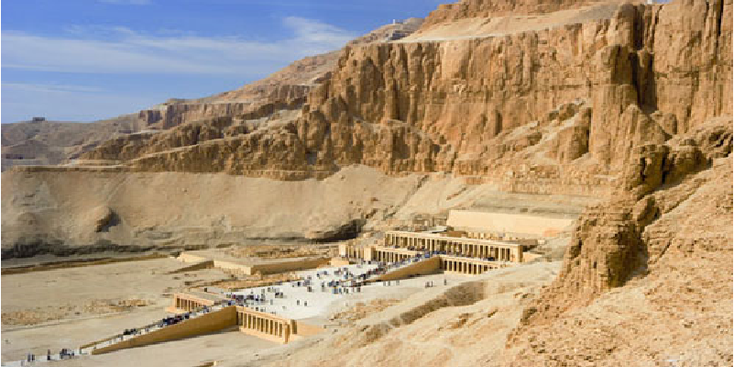 Egypt is a popular holiday destination, often chosen as an alternative to relatively expensive Greece and Spain. The country lies on the Mediterranean Sea, the Red Sea and has two major waterways through the country. 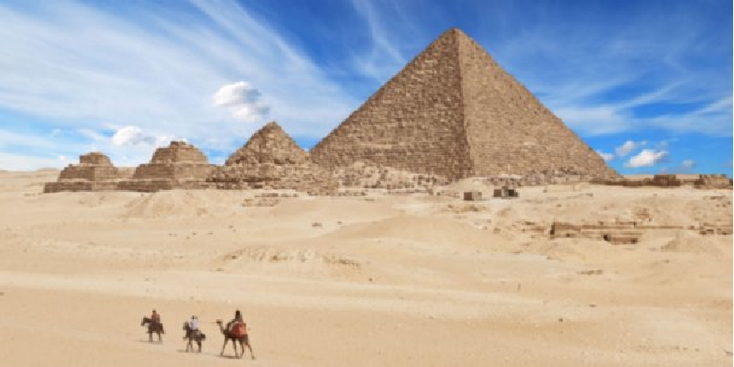 Egypt is a popular destination for tourists, who mainly come down here to experience the rich history and the resulting attractions such as pyramids, temples, mummies and the many treasures former rulers of Egypt possessed. 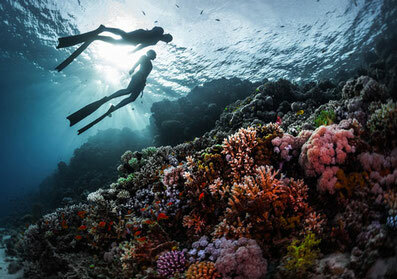 Another treasure that attracts visitors is the Red Sea, where coral and beautiful fish make the seaside resorts on the Red Sea very popular among divers and snorkelers. The warm and sunny climate has ensured that sun worshipers who do not interested in the underwater world have definitely found the luxury hotels and resorts in Egypt. Egyptian culture has about six thousand years of written history. Ancient Egypt was one of the earliest civilizations worldwide and for thousands of years Egypt had a remarkably complex and stable culture that later influenced cultures of Europe, the Middle East and other African countries. After the time of the Pharaohs, Egypt came under the influence of Hellenism, Christianity and Islamic culture. Today, many aspects of Egypt's ancient culture still exist in interaction with newer elements, including the influence of modern Western culture, which itself has its roots in ancient Egypt. The Egyptian capital Cairo is the largest city in Africa and has been known for centuries as a center of education, culture and commerce. Egypt has the highest number of Nobel Prize winners in Africa and the Arab world. Some Egyptian-born politicians were or are at the helm of large international organizations such as Boutros Boutros-Ghali of the United Nations and Mohamed El-Baradei of the IAEA. Egypt is a recognized cultural trendsetter in the Arabic-speaking world and contemporary Arab culture is strongly influenced by Egyptian literature, music, film and television. The country had also a regional leading role during the 1950s and 1960s, which gave a further lasting impetus to the position of Egyptian culture in the Arab world. Due to the troubled political situation of recent years, the number of visitors dropped dramatically due to the Arab Spring. General Sisi made a military coup and deposed President Mursi and his Islamic Brotherhood. The country has landed in a chaotic situation where no one's life is certain and thousands of political opponents are locked up, tortured and murdered. The army not only has a major influence on the arms industry, but is also active in civil cases. The army has interests in sectors such as water, construction, hotels and fuel supply. The Ministry of Defense has extensive powers to block civilian commercial activities with reference to state security. Sisi has indicated that it will hold elections in the near future.